It is the Policy of ENERGIA MODEL TRADING & CONTRACTING CO. LTD (ENERGIA) to maintain an environment for all employees, visitors, and the general public that is as healthy and safe as may be considered reasonably practicable. 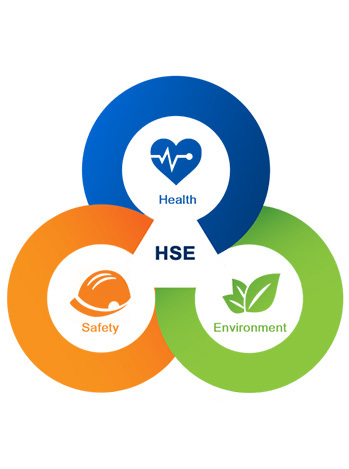 ENERGIA objectives are the prevention of accidents, the elimination of health hazards, the prevention of personal injury, minimizing lost time through accidents, and the application of measures to promote occupational health. In the operation and maintenance of all plant, products, equipment and facilities, it is the duty of ENERGIA to do everything reasonably practicable to prevent personal injury and illness. To also ensure that information on local legislation, standards and codes effecting our operations is made available and that means are in place for these requirements to be complied with, together with any necessary assessments, examinations and monitoring all of which to be recorded and maintained as an ongoing priority. To this end ENERGIA will provide a comprehensive programme of safety training and instructions to all Service employees as required, together with all necessary safety equipment, controls and personal protection equipment. It is equally the duty of every employee to exercise responsibility and to take reasonable care of their own health and safety and any other person who may be affected by their actions or omissions while at work.